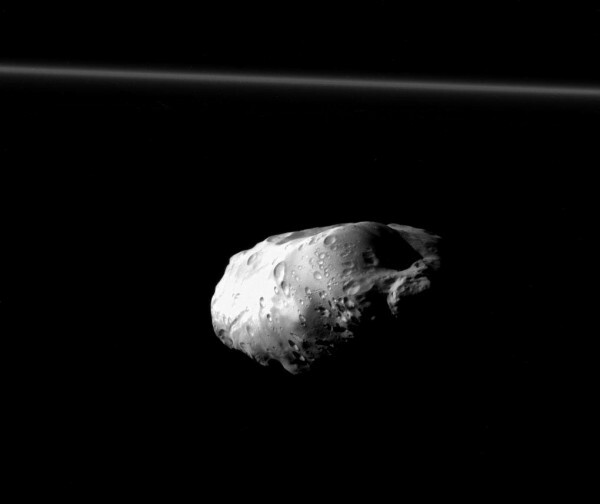 Prometheus is not just the name of a bad movie Alien sequel which will be out soon in the cinema it is one of the satellites of Saturn Cassini has photographed this December. Potato-shaped due to the gravity of Saturn and the rings of the same picture you see is the highest resolution to date of their 86 kilometers wide. Its composition and how it interacts completely with the environment is still unknown. Along with Pandora, they are called satellites F ring shepherds as they are before and depues ring and thus keep them. The F ring of Saturn is less dense outer ring and the width varies from 30 to 450 kilometers. Thanks to its satellites pastors is held in position and can be the cause of such width variable.